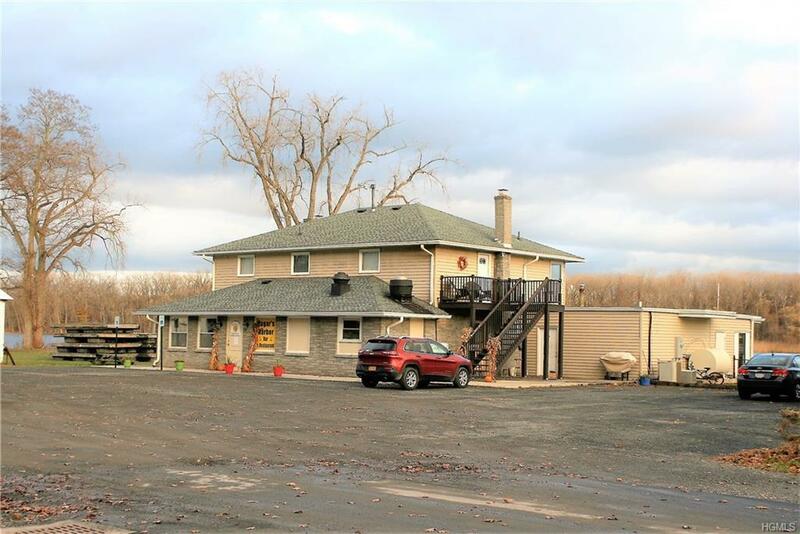 Here is your chance to own a turnkey Restaurant / Bar right on the Hudson River with under water rights. The Restaurant features and indoor and outdoor bar with an expansive deck. 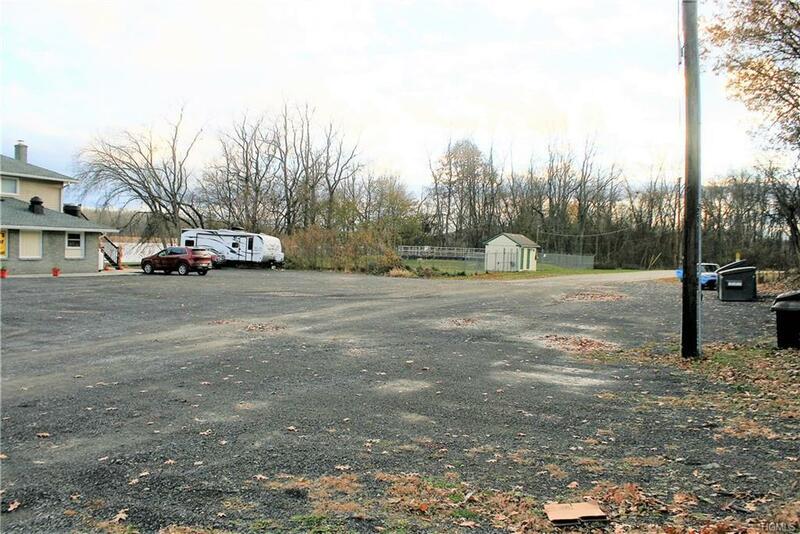 The property has also tentative approval on the site for travel trailers, this can be another revenue stream. 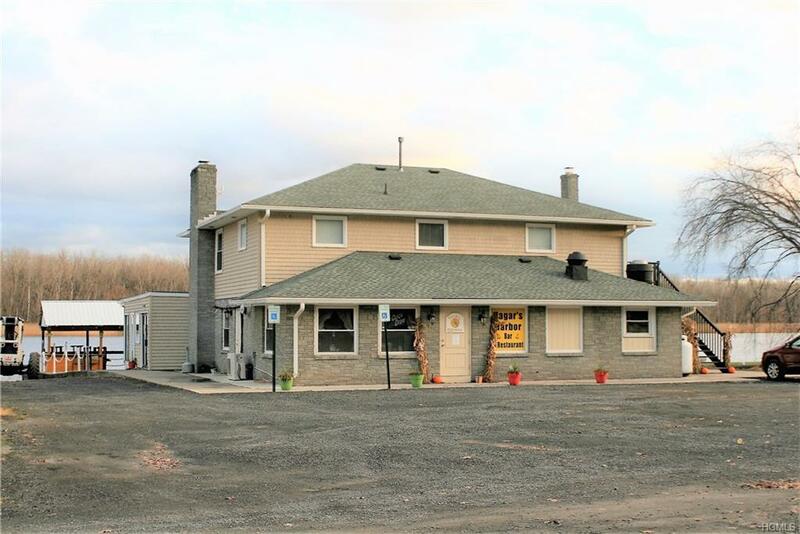 There is a 2 bedroom 1,470 sf apartment above the restaurant if you want to live close to work or to just enjoy the river. 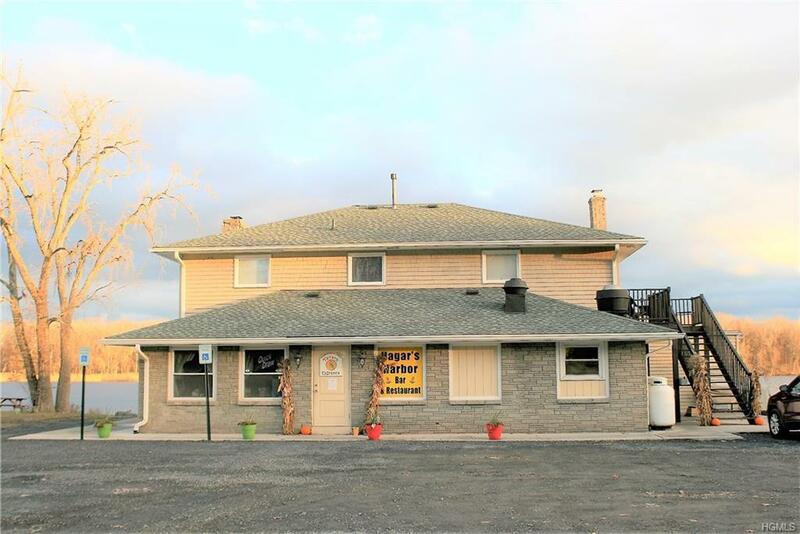 The restaurant is approximately 2858 sf with plenty of room for dining and separate bar game area. They also have the NYS lottery and Quickdraw. There kitchen is fully equipped to make any type of food including pizza. They have preliminary approvals to put in an RV park on the property for 40 sites. There is a large storage shed with a separate electric meter for the shed and for the dock power. Listing courtesy of Winton J Morrison of Win Morrison Realty. © 2019 Hudson Gateway Multiple Listing Service, Inc. All rights reserved. IDX information is provided exclusively for consumers' personal, non-commercial use and may not be used for any purpose other than to identify prospective properties consumers may be interested in purchasing. The information appearing herein has not been verified by the Hudson Gateway Multiple Listing Service, Inc. or the Hudson Gateway Association of Realtors, Inc. or by any individual(s) who may be affiliated with said entities, all of whom hereby collectively and severally disclaim any and all responsibility for the accuracy of the information appearing at this web site, at any time or from time to time. All such information should be independently verified by the recipient of such data. This data is not warranted for any purpose. The data relating to real estate for sale or lease on this web site comes in part from HGMLS. Real estate listings held by brokerage firms other than Mark Boyland Real Estate Team | Keller Williams Realty Partners are marked with the HGMLS logo or an abbreviated logo and detailed information about them includes the name of the listing broker. Data last updated: 2019-04-18T12:15:28.493.